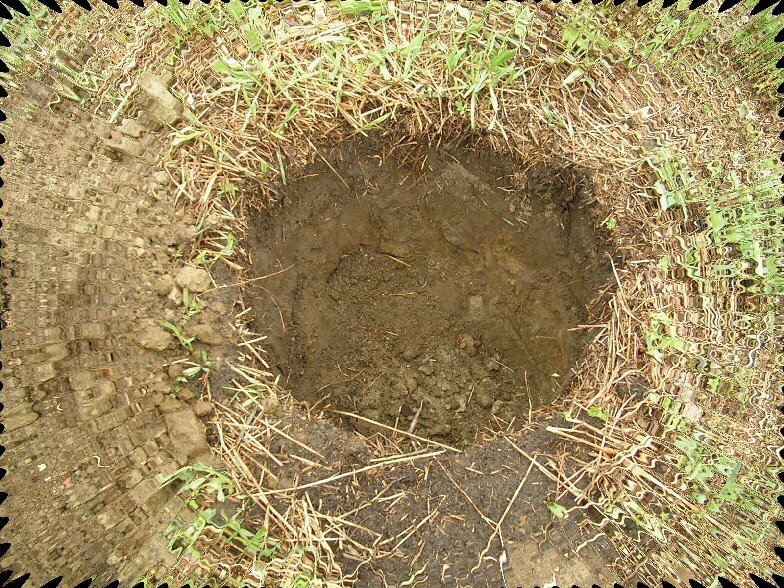 Oh thank the great faerie spirits, it wasn't a giant ground hog or even a mutant gopher digging all those holes. Seems Chip has been wanting a bit of fruit. 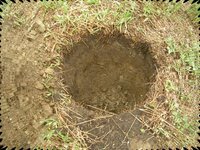 He dug these holes and planted four trees. 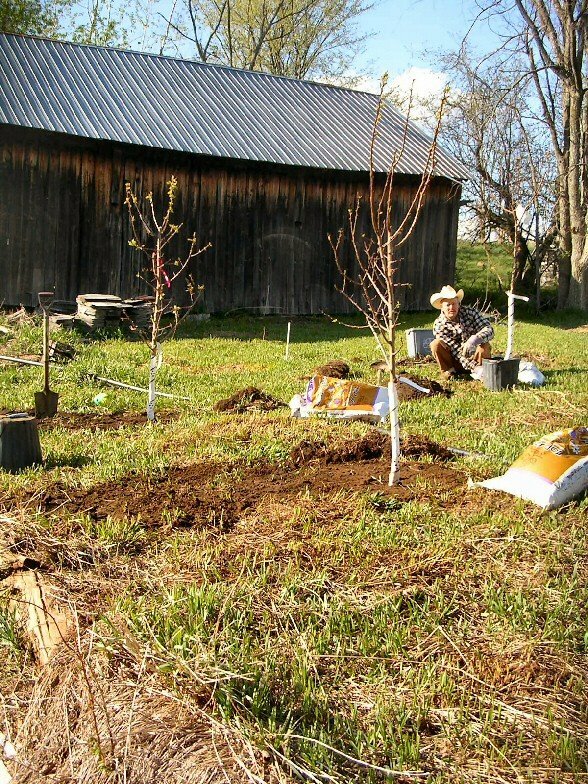 The land did have an orchard at one time, at least some of those fruit trees remain today. 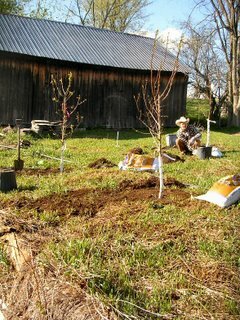 The new trees will hopefully be joined by others, in perfect alignment, joining a new orchard at Amber Fox. They will Howie-sue! The location Chip picked is likely one of the more protected places as well. So be prepared to enjoy this new fruit! Next year!